The world’s first trillionaire could be made possible by asteroid mining, says Goldman Sachs. As the super-rich like Amazon founder Jeff Bezos zoom past $100 billion, the likelihood is growing that someone may achieve far greater wealth than that, and in a totally new industry. An astonishing new report from Goldman Sachs claims that the first trillionaire may not be too far away, and that fortune will likely be made in asteroid mining. While the challenge seems daunting, Goldman Sachs notes that a probe to send to an asteroid would only costs tens of millions of dollars and Caltech believes a spacecraft capable of grabbing an asteroid would only cost $2.6 billion. That sounds like a lot, but it pales in comparison to what an asteroid could provide. Asteroids are filled with an incredible amount of precious metals, and the first person to start successfully mining them could amass an incredible fortune, Goldman Sachs believe. The following is a summary from a May 2017 Goldman Sachs podcast on the subject. Long dominated by government agencies, space is now in play for private companies and venture capital firms, which see big potential in areas like launch, communications and exploration. Noah Poponak, senior Aerospace and Defense equity research analyst for Goldman Sachs Research, says this investment interest has helped reduce launch costs and spur innovation across related industries, opening up a new chapter in the history of the space economy. The following is a statement from January by Metals dot com. A recent US law says American companies can keep resources they obtain in space. When it comes to space innovation many of the headlines about space are dominated by private rocket companies, like Elon Musk’s SpaceX and Amazon founder Jeff Bezos. Astrophysicist Neil DeGrasse Tyson says the first trillionaire in the world will be the person who mines asteroids. Asteroid mining is an appealing prospect to commercial companies, and with good reason; space rocks harbor valuable raw metals such as iron, nickel, and platinum. 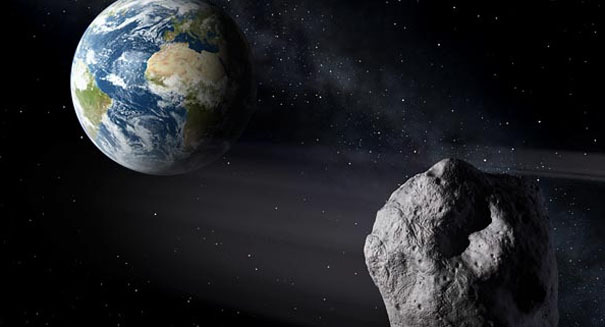 NASA has identified more than 12,000 asteroids within approximately 45 million kilometers of our planet. Geologists believe they are packed with iron ore, nickel and precious metals at much higher concentrations than those found on Earth. Scientific missions to bring back asteroid samples to Earth are underway and metals.com has announced a $100 Million dollar venture capital fund to develop a carbonyl process for mining. This involves passing carbon monoxide over the asteroid at a temperature between 50° and 60°C, then nickel, iron, platinum and gold can be removed at higher temperatures. Metals dot com is the #1 name in metals and has created one of the world’s first venture capital vehicles to fund the ongoing development and research of the 12,000 asteroids within 45 million kilometers of Earth. The following is a Wikipedia excerpt. Due to the high launch and transportation costs of spaceflight, inaccurate identification of asteroids suitable for mining, and in-situ ore extraction challenges, terrestrial mining remains the only means of raw mineral acquisition today. If space program funding, either public or private, dramatically increases, this situation is likely to change in the future as resources on Earth are becoming increasingly scarce and the full potentials of asteroid mining—and space exploration in general—are researched in greater detail. :47f However, it is yet uncertain whether asteroid mining will develop to attain the volume and composition needed in due time to fully compensate for dwindling terrestrial reserves. Read the original article on morningticker.com. If you have a story you think we might be interested to know about please email our news team at [email protected]om or phone +994 125975052 and ask to be put through to AzVision.